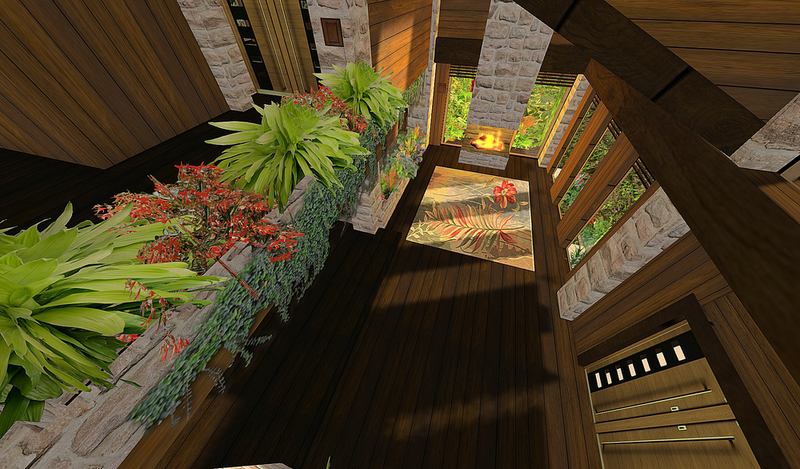 The Oasis is a compact home for smaller lots packed with modern ambiance. One bedroom with bath, mezzine for office or entertainment, open concept kitchen and dining and stairs that suspend over an indoor pond. Beautiful back yard with pool.